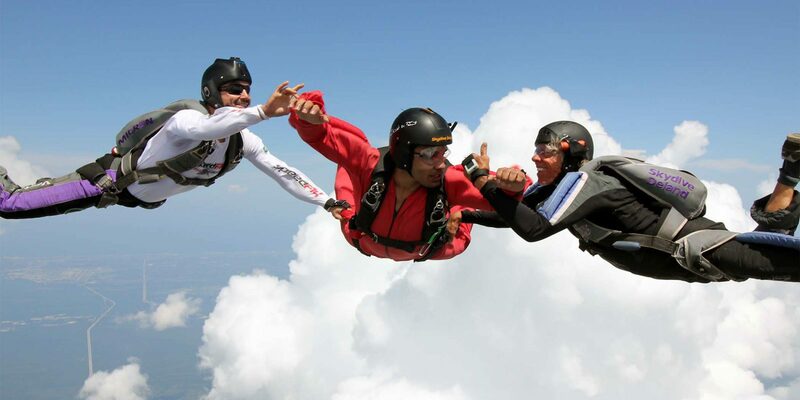 Skydive DeLand is a world-renowned skydiving destination. Since 1982, we have been introducing, teaching, and enjoying the sport of skydiving with new and experienced jumpers alike. We passionately follow our mission to provide training for skydivers of all levels, from first time jumpers to word class competitive athletes. 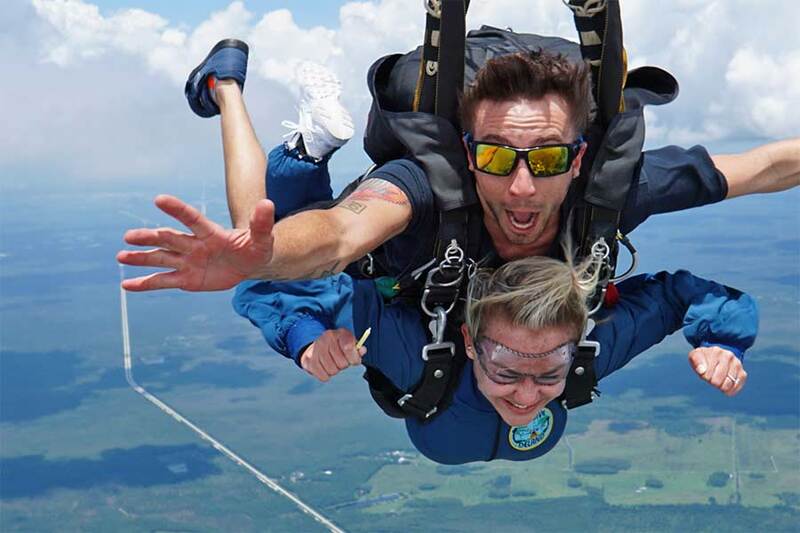 Skydive DeLand, and our staff of experienced instructors offer training programs for all experience levels, from your first jump to world-class competition and everything in between. 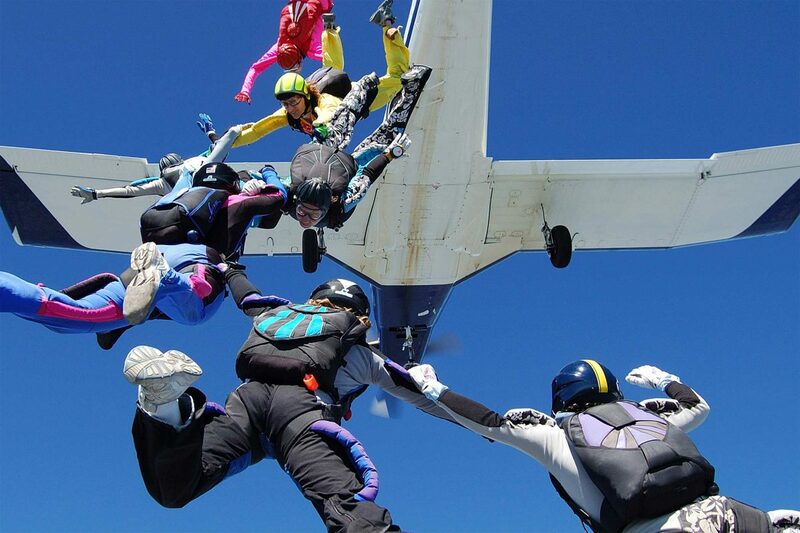 Interested in making your first skydive? We offer two different training options for you to make your first jump. You may choose to start with a tandem jump or go right into our freefall training program, known as AFF. These training methods are practiced throughout the world and both were developed right here in DeLand! Already a licensed skydiver? Some of the most prominent coaches in the world call Skydive DeLand their home DZ and they are available to help you progress in your chosen discipline! 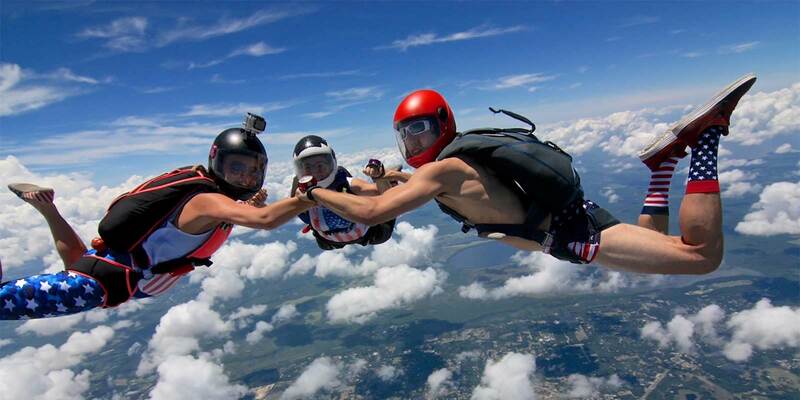 Looking for the best place to skydive near Orlando? 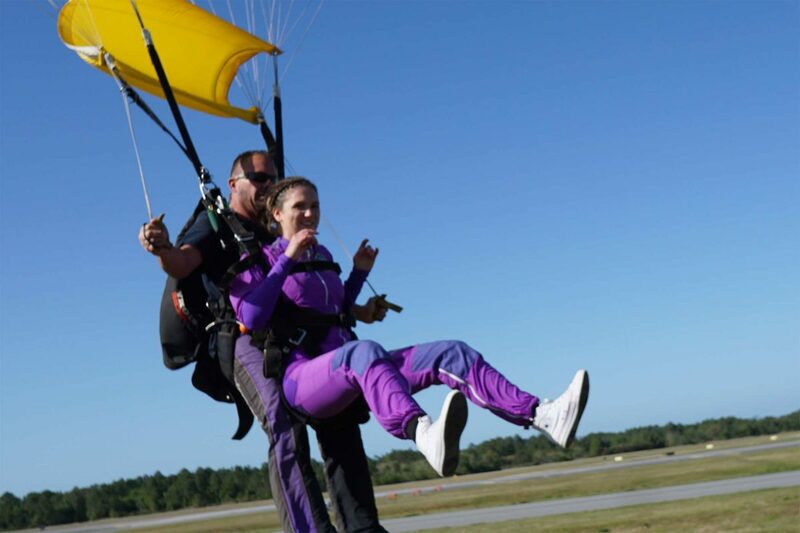 The tandem skydiving method is the safest, easiest, and most popular way to experience the thrill of skydiving for the first time and it was developed right here in DeLand! Let one of our professional instructors take you on the most exhilarating ride of your life! 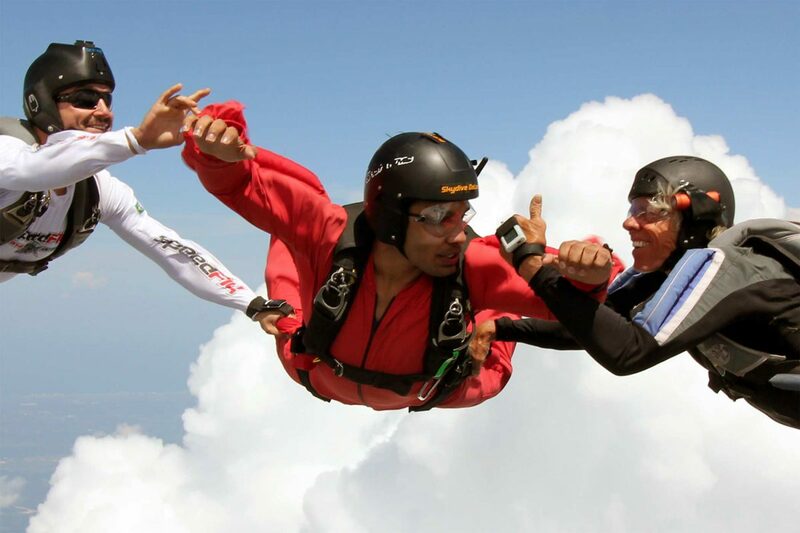 Skydive DeLand is home to one of the most respected skydiving schools in Central Florida. We offer the most effective and efficient way to learn to skydive, the Accelerated Freefall (AFF) training method. AFF is a seven-level progression program designed to teach you the knowledge and skills needed to become a licensed skydiver. 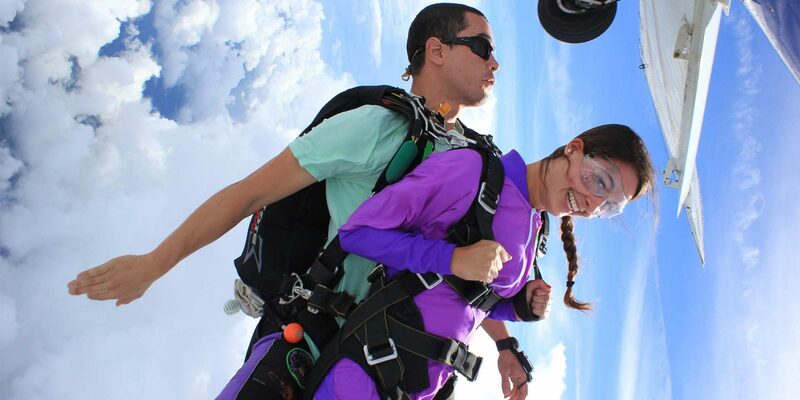 All of this and our friendly staff contribute to help you make the most of your jumping here at Skydive DeLand!